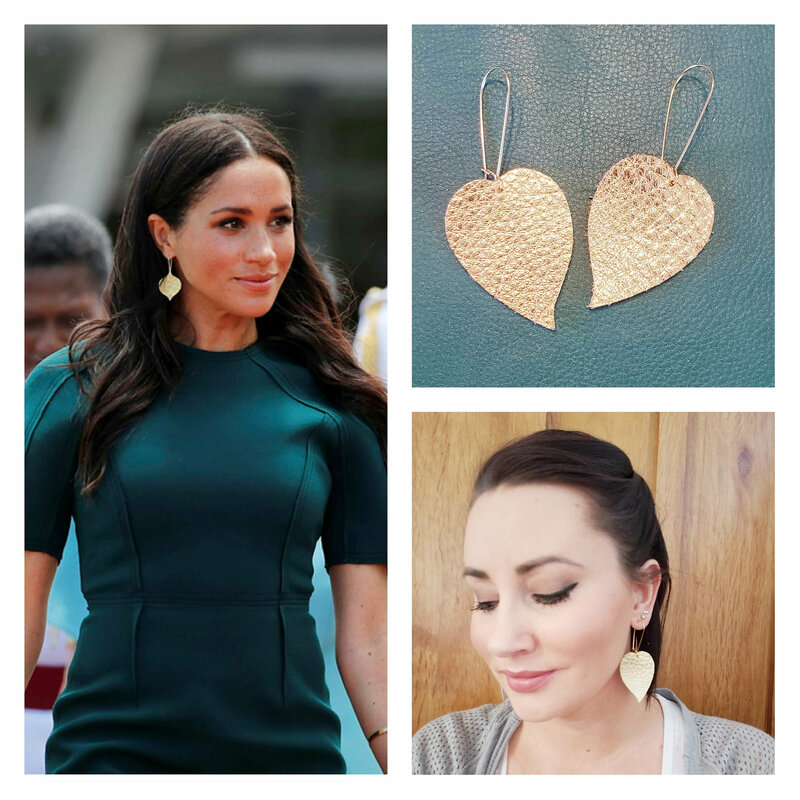 Similar to the style recently worn by the Duchess of Sussex, Meghan Markle. 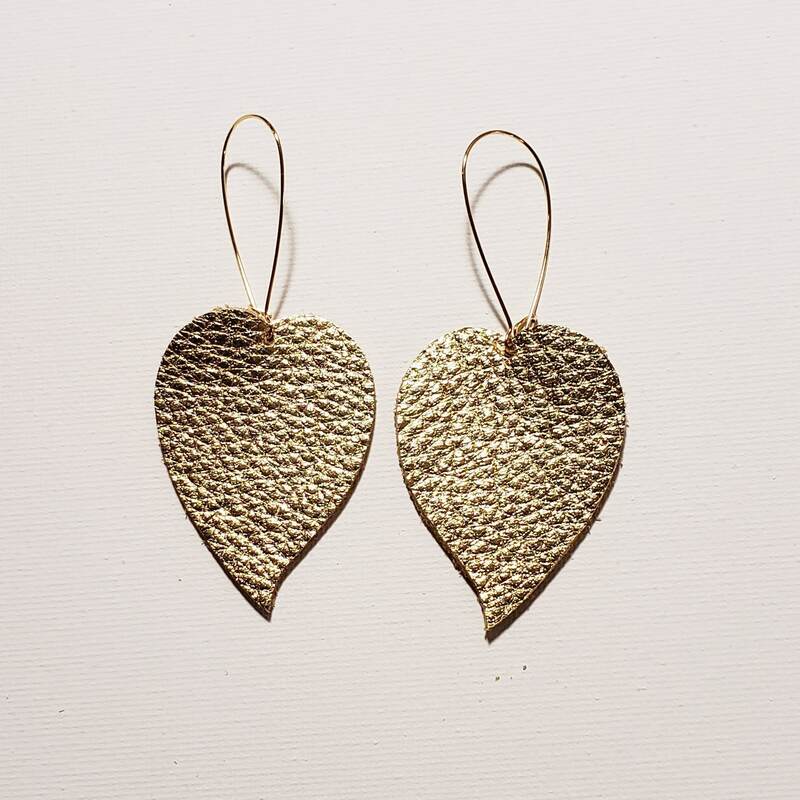 Our simple gold leather drop earrings make a wonderful addition to any outfit. 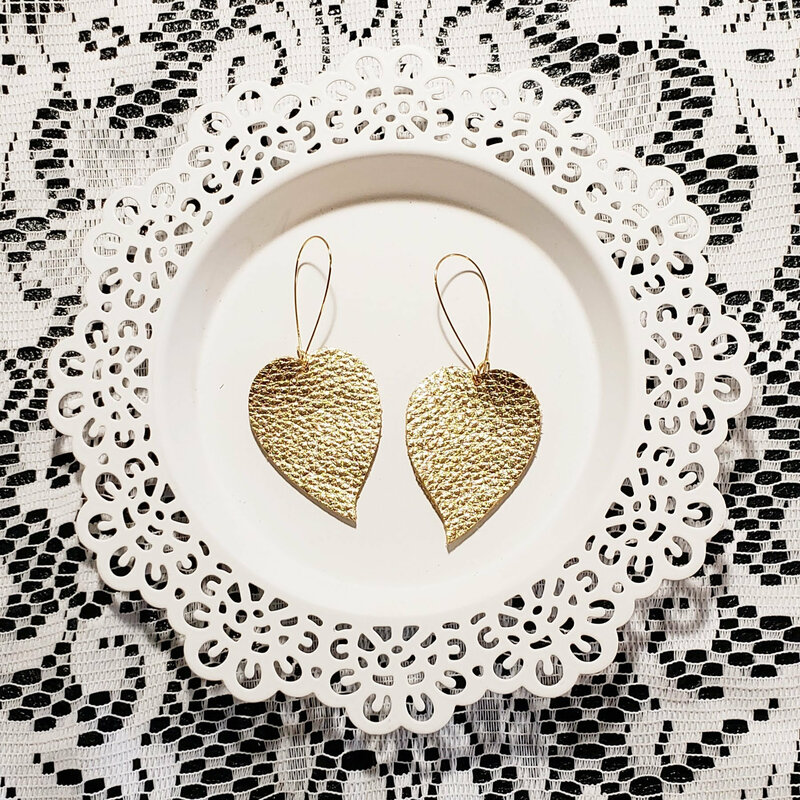 Our earrings make perfect gifts for any holiday/achievement. Birthday gifts, anniversary gifts, Valentine's gifts, mother's day gifts, graduation gifts, teacher gifts, best friend gifts, holiday gifts, Christmas gifts, gifts for her, gifts for mom, gifts for girlfriend, and many more! 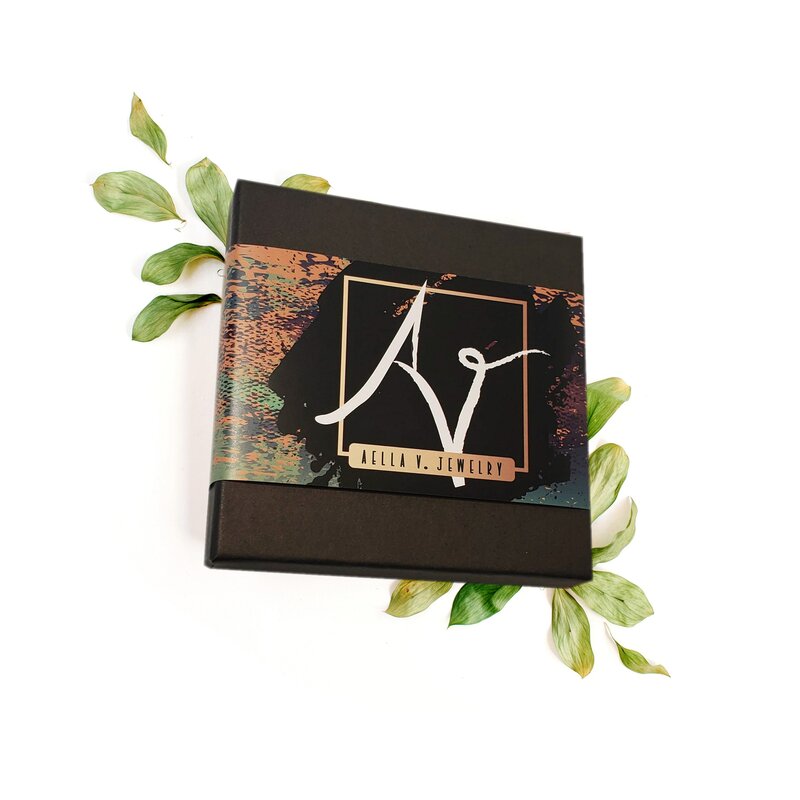 All orders from Aella V Jewelry come beautifully packaged and ready for gifting. Buttery soft gold leather with natural grain texture and brilliant metallic sheen. 14K Gold-plated kidney earring wires. To store your leather earrings hang them up or lay them flat. Keep them clear from any water, makeup or hair products. Avoid cleaning with water or leather may become discolored. For most cleaning needs, a slightly damp Magic Eraser will be sufficient. 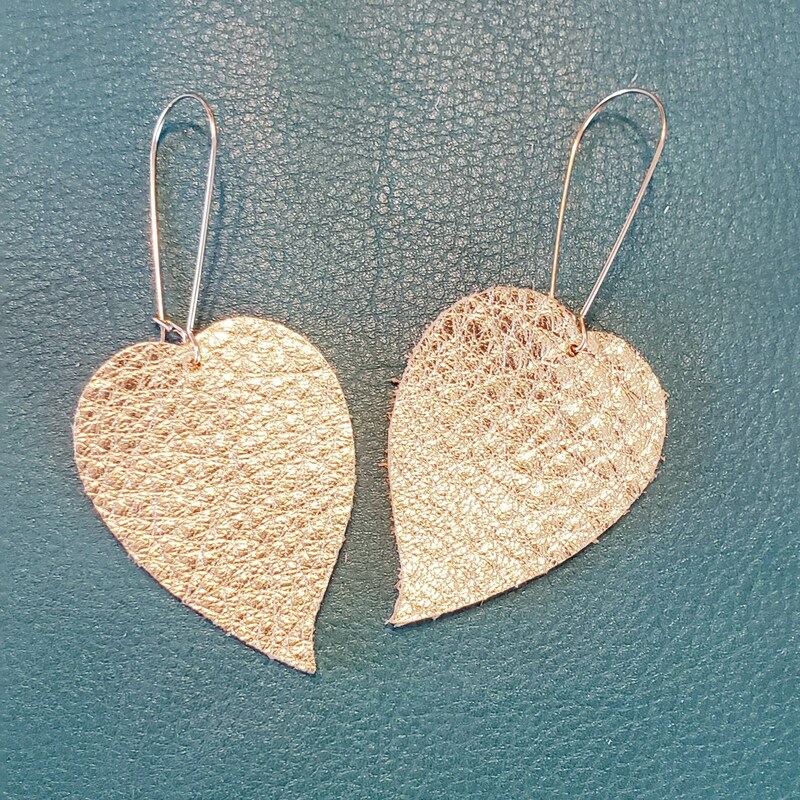 If an earring gets bent, it can be flattened with a slightly warm iron by covering the earring with a cloth or towel and lightly steaming the leather part of the earring (avoiding the hooks). I love these earrings! Barely there feel and beautiful! Exactly as described and fast shipping. Wonderfully light. Beautiful feel to the leather yet when you wear them they don't look like leather. I ordered these for my baby shower hostesses and they loved them! The quality is amazing, they are absolutely beautiful, and shipping was super fast! So pretty! Lightweight and comfortable. Beautiful earrings, just one thing, because of the material (leather) they don't are heavy so, they have a lot of movement and they don't look as metallic earrings and that was that I wanted.